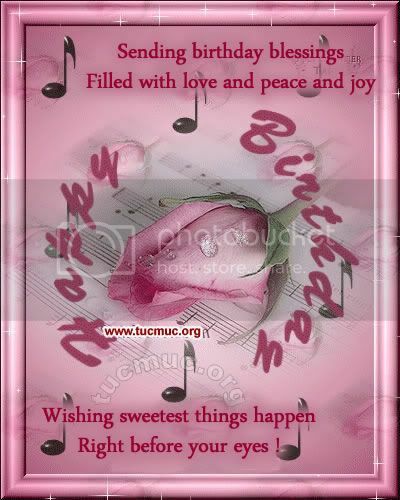 Send special birthday wishes to your best friend on his or her birthday. Happy Birthday. You are so special dear. Have a beautiful day. I wish you a very Happy Birthday. life and all your wishes come true. In soft gleaming night of stars, may all your dreams come true. May every star of every night bring love and joy to you. Happy Birthday. Sending Birthday blessings filled with Love, Peace and Joy.